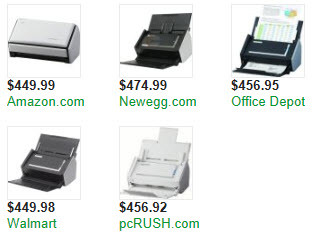 A very kind reader of this blog pointed out recently that while I have written about paperless offices many times, I have never recommended a specific scanner (at least in this forum). So let me offer my far from original opinion: If you are looking for a stout, reliable, fast, sheetfed duplex color scanner, you would be hard pressed to do better than the Fujitsu ScanSnap s1500. Just check out these reviews from CNet and PC Magazine, if you don’t believe me. Many legal technology writers have recommended this champ of a scanner, which comes bundled with Acrobat X Standard. If you acquire a Fujitsu ScanSnap s1500 and upgrade to Acrobat X Pro, learn how to install it and learn how to use Acrobat. By visiting the Acrobat X Pro page, you can find links to the Acrobat blog, Twitter feed, Facebook page, YouTube channel, Adobe TV, Acrobat User Community, and more. Training is available here and be sure to check out the tutorials. All these resources are free. Of course my favorite resource for Acrobat users in the law office is the Acrobat for Legal Professionals Blog where, among other things, you can learn how to use your ScanSnap. If you don’t mind buying refurbished or getting a bundle with older software because you intend to upgrade regardless, then forge ahead – just be an informed buyer. I like to use Google Shopper or Pricegrabber to price compare. There are mobile apps for both or just go to the Pricegrabber Web site. The same caveats apply, however. This entry was posted in E-Court, Sustainability, Technology and tagged Acrobat, Beverly Michaelis, ecourt, Fujitsu ScanSnap s1500, Google Shopper, Oregon law practice management, paperless office, PDF, Pricegrabber, scanner, Technology by beverlym. Bookmark the permalink.